Gorbachev: U.S.A. Promises Cannot Be Trusted! 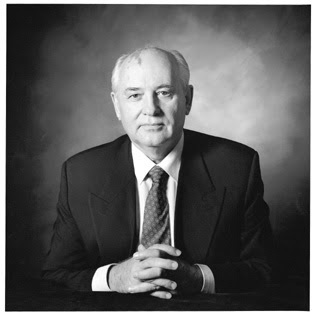 MOSCOW, (RIA Novosti – 07/05/2008) – Promises made by U.S. leaders cannot be trusted, former Soviet president Mikhail Gorbachev said in an interview with The Daily Telegraph published on Wednesday. “The Americans promised that NATO wouldn’t move beyond the boundaries of Germany after the Cold War, but now half of central and eastern Europe are members, so what happened to their promises? It shows they cannot be trusted,” he said in Paris. He also said that Washington’s claims that a missile defense system it is planning to build in central Europe was aimed exclusively at countering the threat from so-called rogue states could not be believed either. The Pentagon’s missile shield deployment plans continue to be a major bone of contention in relations between the U.S. and Russia. Moscow considers the project a threat to its national security. Gorbachev said the missile shield plan jeopardized world peace and could lead to a new Cold War. He continued that that “erecting elements of missile defense is taking the arms race to the next level. It is a very dangerous step”. “I sometimes have a feeling that the United States is going to wage war against the entire world,” the former Soviet leader said. “While Crimea had previously been joined to Ukraine based on the Soviet laws, which means [Communist] party laws, without asking the people, now the people themselves have decided to correct that mistake,” Gorbachev said on Monday, Interfax reported. “This should be celebrated, not sanctioned,” he said.